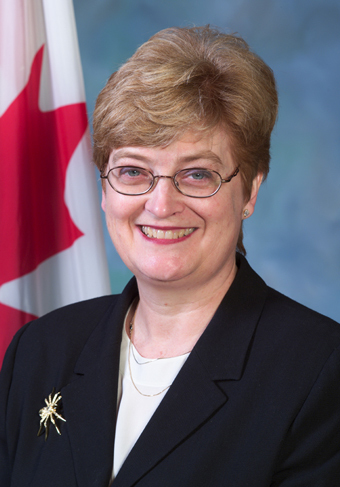 Margaret Bloodworth is a widely respected lawyer, civil servant, and Member of the Order of Canada, who has made many important contributions to public administration in Canada. Bloodworth graduated from The University of Winnipeg with a BA in 1970, and earned a Bachelor of Laws from the University of Ottawa in 1977. She was called to the Bar in 1979 and received an Honorary Doctorate from UWinnipeg in 2007. Her work in public service began in 1972 as a Compensation Officer with Canada Post and she has quickly climbed the ranks since then. Bloodworth has held numerous leadership positions within the federal government, including Deputy Minister of Public Safety, Deputy Minister of National Defense, and Deputy Minister of Transport. She is the first woman in Canada to be appointed National Security Advisor to the Prime Minister and her leadership within the Transport department was instrumental during former Prime Minister Stephen Harper’s response to the September 11, 2001, terrorist attacks in the United States. Aside from her civic achievements, Bloodworth is a dedicated community member and is a longtime fundraiser for United Way. She has held positions on the boards of the Council of Canadian Academies, the Canadian Ditchley Foundation, and Cornerstone Shelter and Housing for Women. “[Margaret’s] level of commitment in serving the nation successfully in her leadership roles in several government departments, over the decades...is an example of her dedication to public service and her country” – former UWinnipeg President and Vice-Chancellor, Dr. Lloyd Axworthy.